You know the scenario. In fact, you’ve probably starred in the show: Kids run amok around the restaurant while fellow diners give parents the stink eye. Or, a guest shows up to a holiday party empty-handed—and fashionably late, of course—to see a mountain of offerings on a dressed-to-the-nines table. Or even still, a mother-in-law scoffs at her daughter-in-law’s oversight of handwritten thank-yous. What gives? The modern view on manners and etiquette varies drastically from the era that, say, our parents grew up in. Today’s progressive parents have a new set of rules that jive with a more casual lifestyle, and the “plugged in and tuned out” existence of contemporary adults just doesn’t lend the time. But while many of us were taught manners as children, it seems we sometimes struggle as adults to recall the lessons learned. So in an effort to recapture that connection, here’s the lowdown. Manners build character. Exercising polite behavior is a form of self-discipline that makes you stop, think about the course of your actions, and behave appropriately. Manners are the “pleases” and “thank yous,” the handshakes, and learning to listen first before speaking. They are the feel-good foundation of personal connection. Etiquette, on the other hand, gets a bad rap. These expected, and sometimes old-fashioned, practices dictate a fussy code of conduct. While requiring young children to bow or curtsy is a true practice of the past, some old ways, like covering your mouth while yawning (to avoid swallowing flies), are still routine. Today, our modern, watered-down etiquette simply aids in the flow, it assists people in their everyday lives, and it helps establish respect among peers. 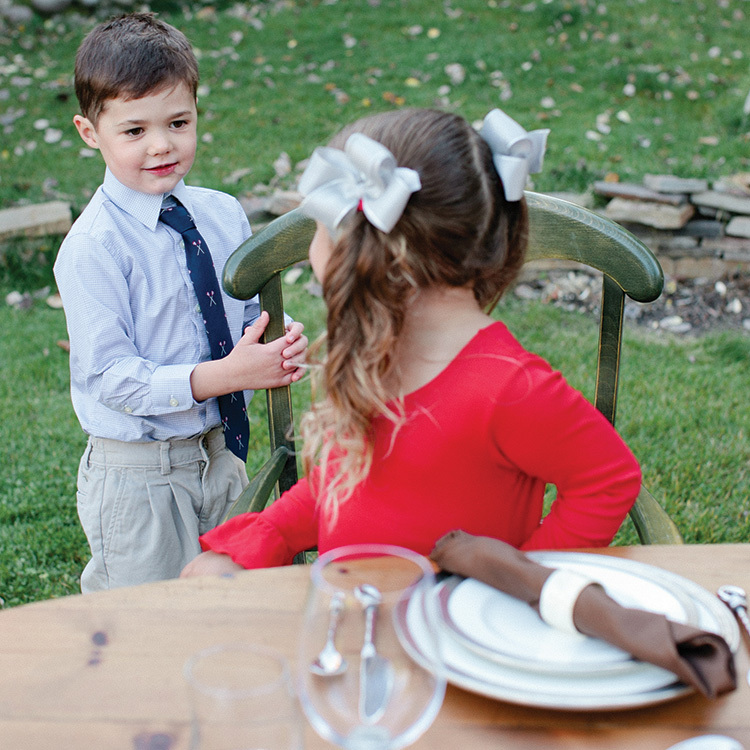 Another friend claims, “We don’t really do manners”—a growing practice among free-range parents. To me, these two opposing views represent the confusion over what to teach our children. And if you run the middle ground between uber proper and genuinely lax, where do you start? First, manners teach confidence. “Manners help children become successful humans in our world,” explains Mary Kitto, a fifth-grade teacher at Wilson Elementary. A child who is taught to sit up straight at dinner and address an adult when they’re spoken to builds a sense of self-worth. Once these habits become ingrained, the child will be more likely to speak up when he has a concern or raise his hand and answer a challenging classroom question. No interrupting. Kids want their needs addressed, well, let’s just say, yesterday. And there’s nothing more annoying, especially to childfree peers, than having an adult conversation interrupted. Then, after several rounds of ignoring Johnny, he starts screaming RIGHT IN YOUR FACE! How embarrassing! Well, I researched this one thoroughly, thumbing through varied procedures, until I read an insightful post by a homeschool blogger at aneverydaystory.com. She teaches patience in a loving and passive way: When your child needs to say something, instead of interrupting, have him place his hand on your wrist and wait. Then, place your hand on his wrist to acknowledge that you’ll get to him shortly. At the next pause, let him speak. Remarkable! I’m starting this one tomorrow. 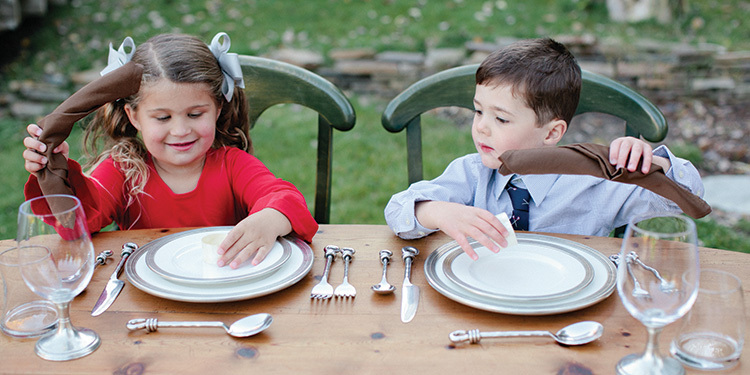 Dinner manners: the stuff that etiquette is made from. Now I’m not talking about formal table settings here—although I do think the knowledge is useful—just some basic rules for eating in, eating out, and engaging around the table. -Sit up straight and use utensils, when applicable. -If we’re out to eat, engage in table conversation or take-along projects, such as coloring or looming, until the food comes out (no phone or iPad, although I’ve caved a time or two). If the restaurant has activities or games, play on your own with voices quiet and manners mild. -Talk about your day. Some families discuss their daily “highs” and “lows” at the dinner table. This is a great segue into reviewing feelings or acknowledging an important occurrence. -No cellphones or computers at the dinner table. And if someone calls or texts, answer only after you’re excused (still teaching this one to my husband). Shouldn’t Manners Be Taught in School? 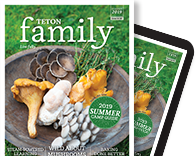 “I think teaching manners should begin at home and then be reinforced by the ‘village,’ ” professes Kitto, who explains Wilson Elementary’s Second Step program (skills for social and academic success). It has three segments: 1. Empathy and skills for learning, 2. Emotion management, and 3. Problem solving. This program is implemented on both sides of the hill as part of a K-5 emotional and social development curriculum. “It reinforces treating others like you want to be treated,” Kitto says. Now the kids are in check, but what about the adults? Looking around in a ski-bum town, it sometimes appears that manners have been thrown to the curb. Like, who really waves their girlfriend into the gondola first or leaves their cellphone at home when party-hopping? Actions speak louder than words. Maybe it’s a company Christmas party or community event that puts you in a crowd. If so, make a good impression by listening more than you talk. Parties connect people, so show sincere interest in others, making them feel like you’re enjoying their company. And put away your phone. In fact, leave it in the car. Nothing is more annoying than a fellow partygoer shooting multiple selfies and then uploading them to Instagram. Dinner parties. 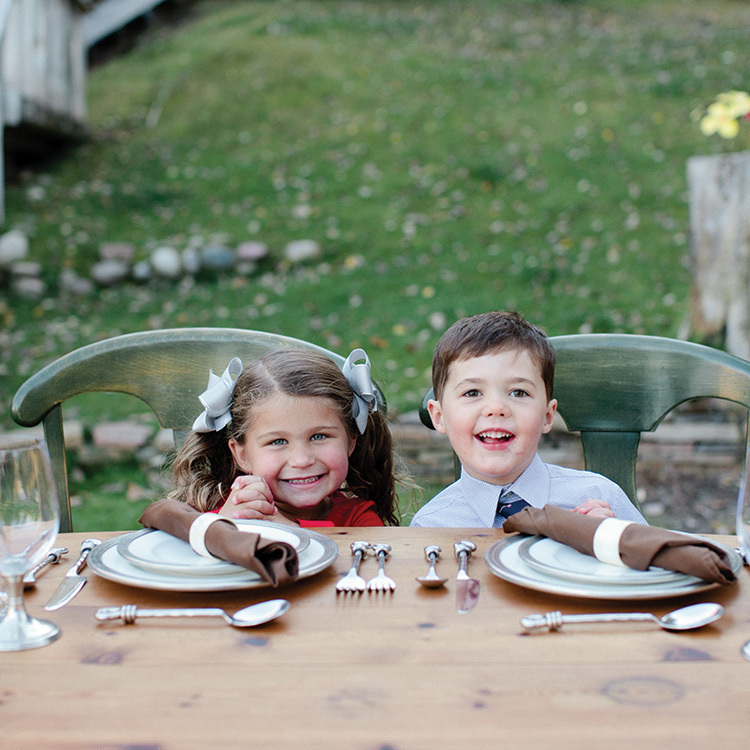 Rule number one: RSVP, and in a timely manner! Remember, it’s just plain rude to drag your feet until you’re privy to the attendee list. 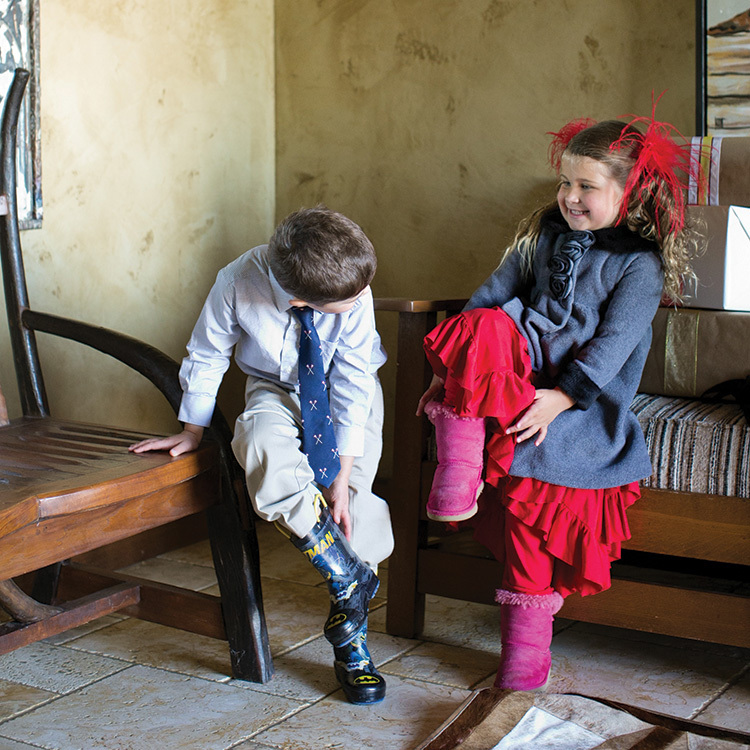 And speaking of feet—when you arrive at the host’s house, take off your snowy boots. If it’s a formal function, ladies, pack a pair of shoes for the après. And guys, ditch the Sorels for slip-ons. If you’re invited to a dinner party, always bring a gift to go with the meal. Beer and wine will suffice, but before hitting the drive-thru at The Coach, check with the host to see what she’s serving and come with an accoutrement that pairs well. You’ll get extra brownie points, I swear! Familial gatherings. In my family, we have an expression. We call ourselves “The Relations.” And it’s said with a tone that jokingly signifies our commitment to each other, regardless of our individual, quirky nuances. Family gatherings are large, involve lots of food and drink, and ultimately end with some off-the-cuff comment that causes certain members to leave feeling awkward. Then we do it all over again next year. -First, ditch the notion of the perfect cookie-cutter family. It doesn’t exist. Embrace what you have and roll with it, knowing the lewd comments just come with the territory. -Curb the gifts. To cut down on holiday spending and to avoid the awkwardness of who to buy for, suggest drawing names or gifting the kids only. -Reserve judgment. Maybe uncle Dan got a little tipsy or showed up slightly disheveled this year. Bite your lip, especially in front of the children. While they might sense something is off, they will soon forget if you reserve criticism. 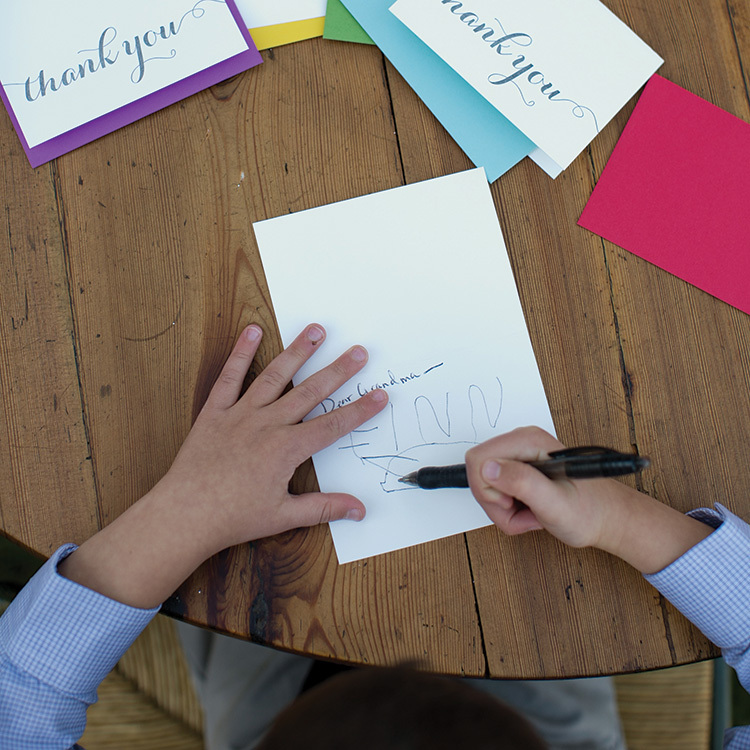 -Practice the art of thank-you notes and teach it to your children. Maybe it’s not your gig; I get it! But in the era of modern technology, a short email to your mother-in-law goes a long way. Or have your kids craft their own note, transforming an obligatory commitment into a cool art project. -If you’re hosting the family, invite the masses and plan numerous activities. It’s hard for the offender(s) to act out with lots of commotion. As a post-feminist, I have to admit I like (and even expect) having the door opened for me and having my chair pulled out at a table. And I give props to guys who routinely give up their seat in a crowded bar. So how can you, as a man, make sure you’re up to snuff? And how can we, as women, support you in this movement? Let’s get real—some of the gentlemanly gestures are truly outdated. But if you want to set yourself apart from the pack, then try: opening the door for a woman when entering a building; pulling the chair out for your date before seating yourself; and offering to pay for the meal, even if your date is your wife. Offer compliments, without using creepy pick-up lines, and never insult your date, even if you think it’s constructive criticism. Above all else, let your girlfriend drop into the pristine powder first. After all, she earned her turns, too. And ladies, cut a guy a break. I realize that we’re all capable of opening our own doors and even chopping our own firewood. But if we just let down our guard every once in awhile, maybe our male counterparts will feel inspired to impress us. And who knows—the gesture might just rub off on the kids as well. 1. Unmarried couples shouldn’t sleep together. 2. It’s never OK to eat with your hands. 3. Remove your hat when inside. 4. Send professional emails during business hours only. 5. Sit with your ankles crossed. 6. Eliminate swearing from workplace conversations. 7. When finished with dinner, place your knife and fork at 6:30 p.m.
8. Stand up whenever a woman enters or leaves the room or meeting.